As part of the National Kinesiology Week, presented by Hexfit, from November 12-18th 2018, the Canadian Kinesiology Alliance (CKA) reached 1 million people for a second year. In an effort to foster better collaboration between various health groups, the CKA is proud to have supported initiatives such as the World Diabetes Day held on November 14 and of the Osteoporosis Month in November. Our thanks are extend to all who participated, Kins, PKAs, Partners for their active and ongoing participation throughout the week. See you next year! The CKA, in an effort to foster better collaboration between various health groups, is proud to support initiatives such as the World Diabetes Day to be held on November 14th. For example, it has been demonstrated that exercise can reduce the incidence of type 2 diabetes by 50% and be twice as effective as standard insulin. Physical activity and fitness can also reduce the risk of other medical conditions. This is why the CKA invites Kinesiologists to mobilize to help diabetics and have them consult a Kin near them! OTTAWA, November 12, 2018 – Experts agree that nearly half of Canadian adults are not physically active enough to benefit their health and well-being, and despite many well-intended campaigns, this trend does not seem to be improving. This is why the Canadian Kinesiology Alliance (CKA), as part of the 2018 National Kinesiology Week taking place from November 12 to 18, salutes the Let’s Get Moving report, the latest initiative from the Government of Canada to create a common vision where all Canadians move more and sit less, more often. The CKA agrees that it is only through the collaboration of the community, the government and private and public sectors, that physical activity will be increased and sedentary living reduced across all generations. The CKA now has a blog attached to its website and an RSS feed. Subscribe now. Reproduce blogs on yours! Subscribing to a site's RSS feed is a simple and a convenient way to let you know about new content as it's published. Now, you no longer have to visit the CKA website every day: cka.ca, boottracker.ca and nationalinkinesiology.ca. The subscription to the RSS allows you to receive in real time the updates of all these pages in one time! In short, it's an easy way to get at a glance all the news that interests you! The CKA will make available the RSS feed link on its Facebook page from Nov 13th. Furthermore, the CKA and Hexfit, official presenter of the 2018 National Kinesiology Week, will send the links in an email in the week of NKW. Stay tune! CKA Membership renewals for 2019 are began November 6th 2018 at the same time as your insurance must be renewed. PKAs will also begin their membership renewals shortly. Check your emails! Your membership ends on December 31st. Your support as a member is important to us! Your membership and proof of insurance are mandatory to practice kinesiology in Canada. Deadline in Janurary 31st, 2019. Prolink Insurance, the CKA Professional Liability Insurance partner, has recently upgraded their online insurance portal. The new portal has a completely different look, and process for purchasing Professional Liability Insurance. Please ensure that you review all of the options carefully to ensure that you are only purchasing the insurance that you require. Please ensure that as you go through the online process that you only select the insurance options that you require, additional products and services can be added in at a later date should you require. The CKA/ACK put wheels in motion and has achieved another milestone – the establishment of a Marketing Plan & New Brand in conjunction with its #KinVision2022 Strategic Plan. The CKA / ACK with the help of UpHouse Inc. from Manitoba defined a new brand for Kinesiology and have established marketing strategies until December 2019. TD Insurance is pleased to announce the launch of the TD Insurance Auto Center campaign: added value for CKA members offered by TD Insurance Auto Centers, a one-stop shop where you can talk to an adjuster, have your car repaired, and even rent a car under one roof. New Canadian report on Physical activity – A good opportunity for all us to promote what Kinesiologist do. 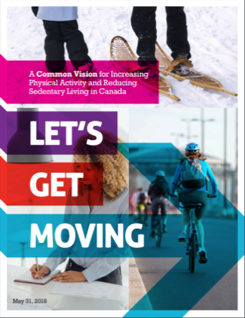 The Federal Government has just released a new 'Vision' for increasing physical activity and reducing sedentary lifestyles, May 31, 2018. This is something all kinesiologists should familiarize themselves with and recognize where they fit into the spectrum as the solution requires participation by all health professionals. 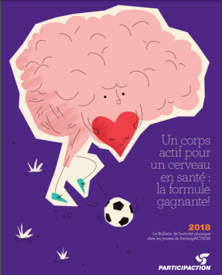 THE 2018 PARTICIPACTION REPORT CARD ON PHYSICAL ACTIVITY FOR CHILDREN AND YOUTH was released in June “The Brain + Body Equation”. Canadian kids need active bodies to build their best brains. All kids deserve to thrive in mind and body. But in order for them to reach their full mental, emotional and intellectual potential, their bodies have to move to get the wheels in their brains turning. The Report Card is the most comprehensive assessment of child and youth physical activity in Canada. It synthesizes data from multiple sources, including the best available peer-reviewed research, to assign evidence-informed grades across 14 indicators. The Report Card has been replicated in over 50 cities, provinces and countries, where it has served as a blueprint for collecting and sharing knowledge about the physical activity of young people around the world. 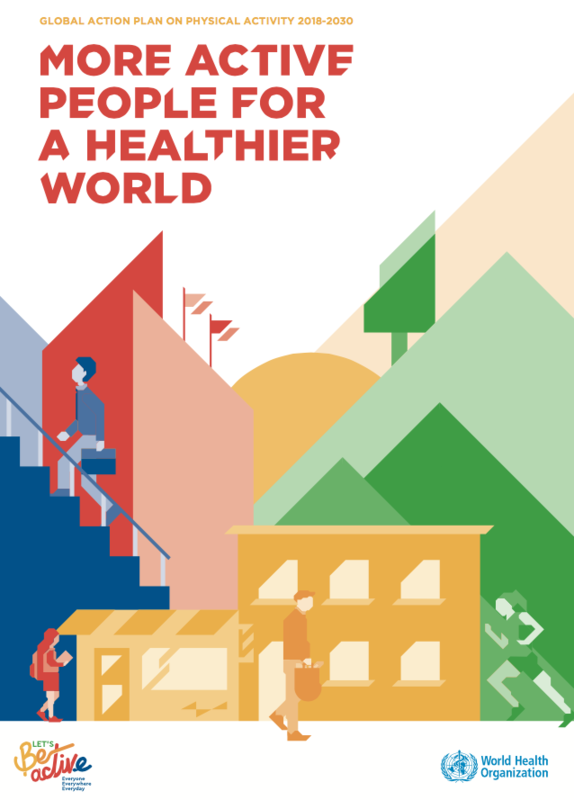 In june 2018, WHO Director-General Dr Tedros Adhanom Ghebreyesus joined Prime Minister António Costa of Portugal to launch the new "WHO Global action plan on physical activity and health 2018-2030: More active people for a healthier world." "Being active is critical for health. But in our modern world, this is becoming more and more of a challenge, largely because our cities and communities aren’t designed in the right ways," said Dr Tedros. "We need leaders at all levels to help people to take the healthier step. This works best at city level, where most responsibility lies for creating healthier spaces." In June 11th 2018, following its annual general meeting, the Canadian Kinesiology Alliance / Alliance Canadienne de Kinésiologie (CKA/ACK) was pleased to announce the composition of its new Board of Directors. The CKA/ACK also announced the continuance of Mrs. Marie-Claude Leblanc to the presidency of the organization. 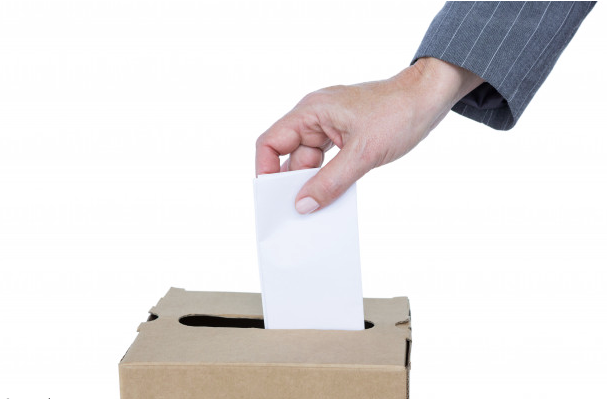 "The CKA/ACK now counts delegates from nine of ten provinces on its Board of Directors – a historical moment. 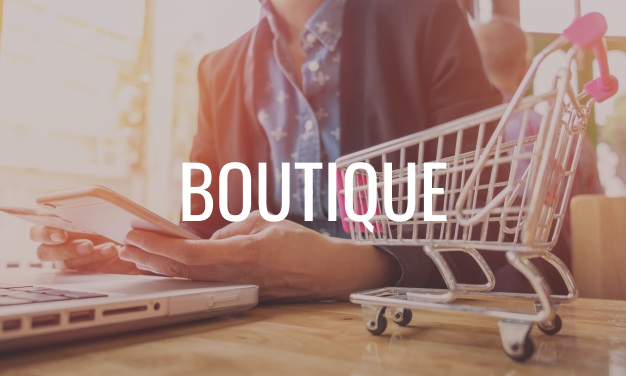 CKA BOUTIQUE is now open! The CKA is proud to offer you preferential rates on products and services from its partners in order to help you in your practice of kinesiology. Take advange of discounts. The Canadian Kinesiology Alliance proudly announces a partnership with POLAR. OTTAWA, May 30th , 2018 - The Canadian Kinesiology Alliance / Alliance Canadienne de Kinésiologie (CKA / ACK) is pleased to announce that it has entered into a partnership with Polar Electronics Canada. The CKA / ACK encourages Kinesiologists to use POLAR’s sports training computers known to be the world's first wireless heart rate monitor for healthcare professionals, in their pursue to support active people. POLAR will actively work with the CKA / ACK to grow awareness and adoption rates amongst the kinesiology practice. Pursuant to the Bylaw, the Board of Directors of the Canadian Kinesiology Alliance-Alliance Canadienne de Kinésiologie hereby serves notice that an annual general meeting will be conducted via teleconference on Thursday, June 7th, 2018 at 20hrs (Eastern Time). As space may be limited by technology, members and affiliated kinesiologists wishing to participate are kindly asked to contact the CKA/ACK at info@cka.ca or 844-KINESIO to register before May 30th 2018. OTTAWA, May 10th , 2018 - The Canadian Kinesiology Alliance / Alliance Canadienne de Kinésiologie (CKA / ACK) is pleased to announce that it has entered into a three year partnership with Mobility Therapeutic Tape Ltd. The CKA / ACK encourages Kinesiologists to use Mobility Tape’s unique collection of kinesiology taping products to reduce rehab times and support active people amongst many other benefits. Mobility Tape will actively work with the CKA / ACK to grow awareness and understanding of our products and services and increase adoption rates amongst the kinesiology practice. CKA ACK encourages Kinesiologists to take part in National Health and Fitness Day by organizing an event, to reach out to meet people ready to be active. Kinesiologists across Canada will join in activities in their communities. The CKA / ACK (in partnership with OKA) participated in the CLHIA 2018 Conference held in St. John's Newfoundland on May 8-10th. It hosted over 200 insurers and claims associates in a tradeshow and CKA formally presented as speaker of the presentation sessions, plenaries and special events. We joined other NHOs such as the Canadian Massage Therapy Alliance, Canadian Chiropractors Association, Ontario Association of Osteopaths and other healthcare professionals as exhibitors. It was a prime spot to meet and greet CLHIA members. This event being a national event was aligned with CKA / ACK 's commitment to raise awareness of the profession by aligning organizations, such as CLHIA, with our goals. The CKA/ACK put wheels in motion and has achieved another milestone – the establishment of a Marketing Plan & New Brand in conjunction with its #KinVision2022 Strategic Plan. The CKA / ACK had mandated UpHouse Inc. from Manitoba to help in defining a new brand for Kinesiology and provide marketing strategies until December 2019. The New Brand will be incorporated in many of the visuals used in activities. The CKA/ACK will provide new branding material for Kins to use: i.e. business cards, KinWordMark, etc. 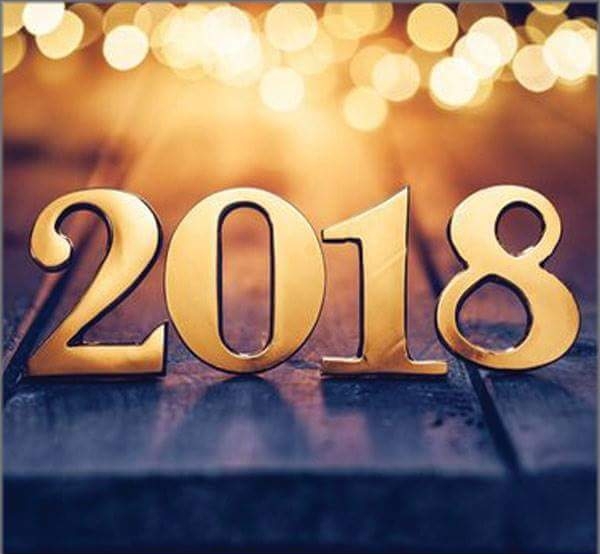 The CKA/ACK is very pleased to report that wheels are in motion and picking up speed as we head towards achieving our 2018 to do list. Two action plans were drafted from the #KinVision2022 Strategic Plan in the 2 sectors of Communications and R&Development. OTTAWA, March 21st, 2018 – As part of the 2018 KinGames from March 22nd to 24th in Edmonton’s University of Alberta, the CKA / ACK launched #KinStartUpKit , a website dedicated to helping students of Kinesiology and Physical Activity as they enter the work force or continue futher studies. That’s why #KinStartUpKit is a great tool for undergraduates and graduates to get started as Kinesiologists. The CKA / ACK, together with its partner Hexfit Solutions, invited students to take the time to better understand how Kinesiology is practiced in Canada and thus help students achieve their career goals. 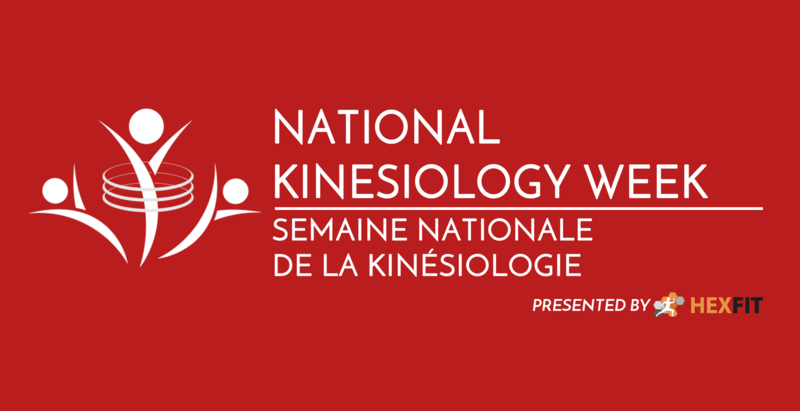 National Kinesiology Week 2017 reached 1million people! As part of the National Kinesiology Week, presented by Hexfit, from November 13 to 19, the Canadian Kinesiology Alliance (CKA) reached 1 million people. Canadians of the amazing healing power of physical activity. Our thanks are extend to all who participated and to the following groups for their active and ongoing participation throughout the process. See you next year! In conjunction with National Kinesiology Week 2017, CKA / ACK proudly launches its # KinVision2022 strategic plan. This plan is the culmination of years of collaboration that could not have been completed without the concerted effort of many. The CKA / ACK now has a clear and firm guide, a roadmap to guide the destiny of our kinesiology profession in Canada. Read the #KinVision2022 Strategic Plan. Kinesiologists invite Canadians to take a proactive role in chronic disease management and to ask referrals from their doctor for a physical activity. A kinesiologist can help you ... a series of 9 videos! Ref: Schoenfeld, B. J., Grgic, J., Ogborn, D., & Krieger, J. W. (2017). Strength and Hypertrophy Adaptations Between Low-vs. High-Load Resistance Training: A Systematic Review and Meta-analysis. The Journal of Strength & Conditioning Research, 31(12). Current muscle training guidelines support that loads greater than 70% of 1RM are needed to maximize muscle strength and hypertrophy adjustments (ACSM, 2009). Similarly, the "RM continuum" asserts that gains in maximum strength are optimal with loads of 1-5 RM and that gains in hypertrophy are best achieved with charges of 6-12 RM (Bachle, 2008). Is Post-Exercise Muscle Soreness a Valid Indicator of Muscular Adaptations? Réf : Schoenfeld, B. J., & Contreras, B. (2013). Is Postexercise Muscle Soreness a Valid Indicator of Muscular Adaptations?. Strength & Conditioning Journal, 35(5). credits in the Scope of Practice and 7 in general. (unit, day, hour etc). Put in the number of unit you have completed. Following its annual general meeting, the Canadian Kinesiology Alliance / Alliance canadienne de Kinésiologie (CKA/ACK) is pleased to announce the composition of its new Board of Directors. Your Mom used to warn you to be careful when playing around. Life was simpler in Canada a few years ago when people would take responsibility for the risks they assume when participating in activities. Fast forward to 2017 and Canada is much more litigious. Canadians used to poke fun at our American cousins as it seemed like suing was a national pastime in the US. Personal injury lawyers are aggressive. They will cast a wide net to catch anyone remotely involved in a situation where someone is injured. Optimal delivery of health care service requires evidence-based practice by the professionals within their respective fields. Kinesiology recently became a regulated health profession in the Province of Ontario, drawing on principles of movement science in related areas of human clinical and performance disciplines to appropriately guide practice. However, with the addition of kinesiology to the class of regulated health professions, research that specifically guides service delivery and best practice policy is needed. Muscle training is well known to promote a significant increase in the volume and strength of skeletal muscle and therefore improve health-related parameters and reduce the risk of mortality. Bodybuilding exercises can be categorized into two main categories: multiarticular (MA) and uniarticular (UA). The MA exercises recruit several muscles or groups of muscles in a synchronous manner, generally classified as prime mover or secondary muscle (synergists). For example, in the bench press, the pectoral major is often considered as the main muscle (the one exercising a dominant action), while the triceps and anterior deltoids are considered secondary muscles for this precise movement. muscles that assist the desired movement). HIIT, BootCamps, TRX®. What are these new trendy training methods? Today, new type of training have become popular, namely HIIT, Bootcamps, TRX® "What do they have in common: it’s training based on high intensity.